Rihanna (pictured in three stunning new promos) announces a new line of Fenty Beauty lipsticks titled MatteMoiselle. 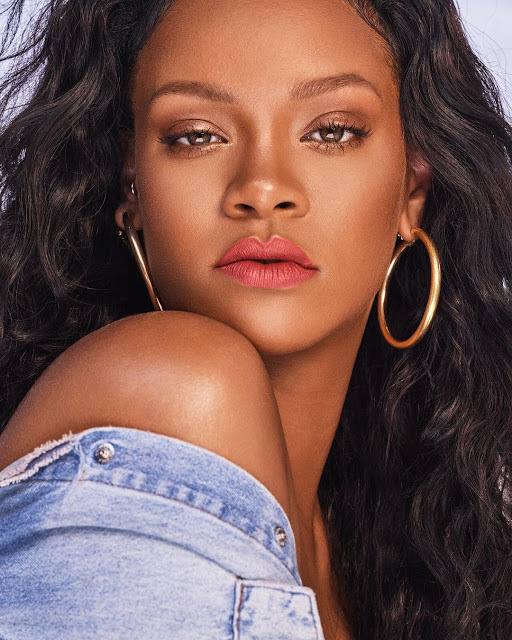 The range will serve up 14 matte lip colours, ranging from nudes to reds to a bold violet, a green and even a dark navy shade pictured on Rihanna herself (above). 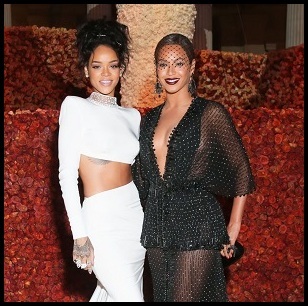 Not many could pull this off, but I swear Rihanna can pull off any shade! The lipsticks will be available on Sephora.com, HarveyNichols.com (as well as in stores) beginning 9am on December 26th.